Junk food doesn’t have to be filled with junk to be delicious. These homemade beet chips fit the bill when that salty, crunchy snack-attack hits. Oh my stars! I have died and gone to healthy “junk-food” heaven! Today my friend (and dehydrator co-parent*) shot me a text saying she’d fallen in love with beet chips…totally forgetting I’ve had these little gems before (albeit fried in not-so-stellar oils) and that they’re a perfect alternative for when that salty, crunchy, snack-attack hits, I decided to give a healthier version a try. Solidarity, Susan! And thanks for this rockin’ recipe…I’m headed out to the garden to pull up my remaining four rows of beets. Here’s to happy snacking! Junk food doesn’t have to be junky to be delicious. These homemade beet chips fit the bill when that salty, crunchy snack-attack hits. 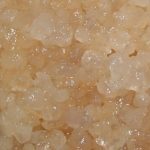 This recipe originally found from Susan over at Rawmazing. Mix together vinegar, oil and water and set aside. 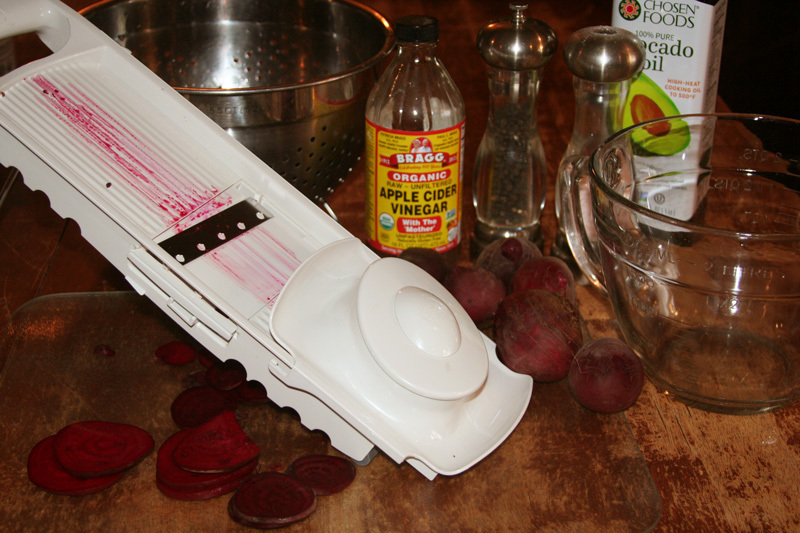 Wash and dry beets well, then slice as thin as possible (a mandolin makes this job a breeze). Put sliced beets into a large bowl (I actually found a 9×13 inch pan worked best) and pour vinegar/oil mixture over beets. Allow beets to “marinate” for 10-20 minutes, stirring occasionally. 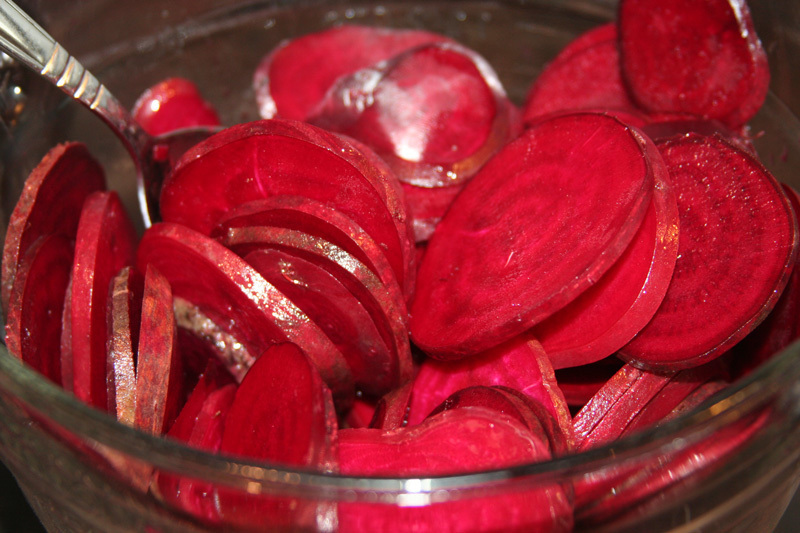 Arrange beets onto dehydrator trays and sprinkle generously with salt and pepper (and I do mean generously, much of the salty flavor evaporates out with the liquid). 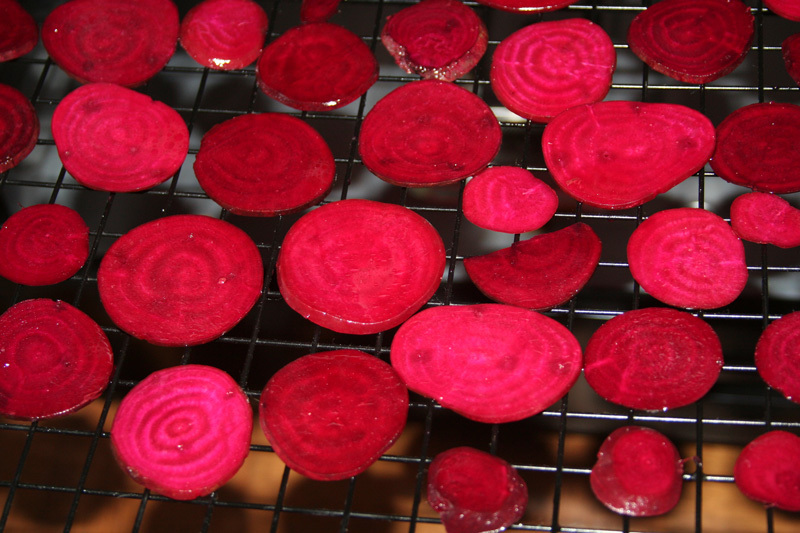 Dehydrate at 145℉ for 45 minutes, then reduce heat to 115℉ and dehydrate until beets are dry (about 24 hours). Test your beets, if you love the way they taste then move onto Step 7. I prefer my chips to be more…well…chippy. (And being that I’m not too concerned about eating all my food in a raw state, these beet “chips” weren’t quite crunchy enough.) To finish off your beet chips, arrange them on a cookie sheet lined with parchment paper and bake in the oven at 225℉ for 2-3 hours (or until crunchy). Chips will crisp up further once cooled. Seal up your chips in an airtight jar and snack away! 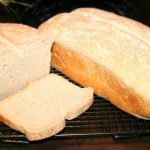 Double, triple or quadruple this recipe as needed! Already having doubled how many beets I planted this year, I think next year may require even more rows allocated to these beauties. 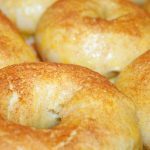 Be sure to seal chips in an airtight container, they may get a bit “chewy” if left out as they’ll absorb moisture from the air. Double, triple or even quadruple this recipe and keep beets stored in the refrigerator (marinating) as you dehydrate each back. If you’re looking for a completely raw-food snack, don’t worry about the beginning temperature of the dehydrator. Your food will never actually go above 115, so it’s raw integrity will still be there! 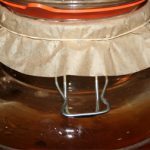 * If you haven’t invested in a dehydrator yet, I highly recommend doing so. They’re fantastic for preserving foods and creating delicious, nutritious snacks at a fraction of the cost of store bought alternatives. If the cost of the initial investment is too steep, do what we did and go in on one with friends! We have an electronic “time share” if you will, and pass the dehydrator back and forth as needed! 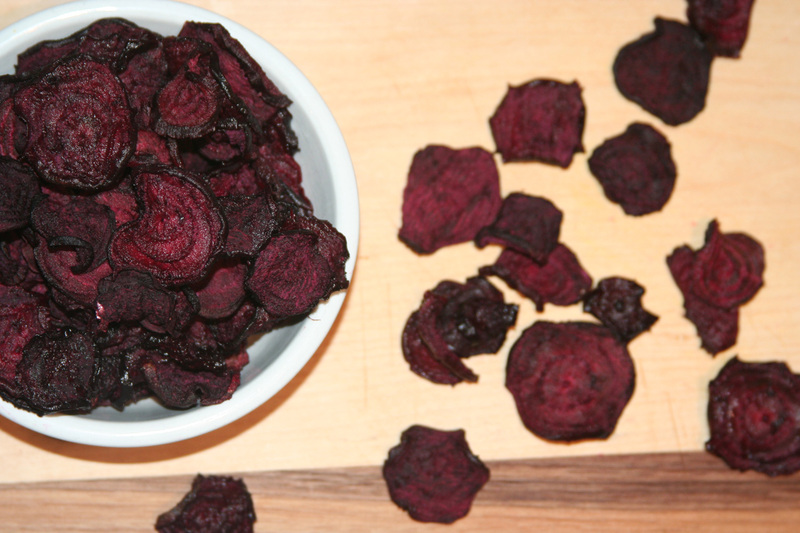 Homemade beet chips are edible beauty! Not only are they delicious and healthy, they are beautiful! Imagine a white plate, seared steak, garnished with beet chips. How about making a healthy salad just as appealing to the eyes, as the stomach, by topping it with these beauties.